Central Bank of Ireland (2014), Wexford Rounding Trial Final Report. Central Bank of Ireland (2015), Rounding of Cash Transactions - Guidelines for Retailers, Version 2, 28th August 2015. Erika Leszkó (2009), “Rounding is not to be feared”, MNB Bulletin, July 2009, pp.14-21. 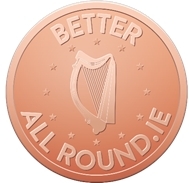 European Commission (2013), Issues Related on the Continued Issuance of the 1 and 2 Euro Cent Coins , COM(2013) 281 final and SWD(2013) 175 final. European Commission (2015), Flash Eurobarometer 429 - The Euro Area-. De Nederlandsche Bank（2004）, The Netherlands introduce the ‘rounding rule’, Press release 1 July 2004.